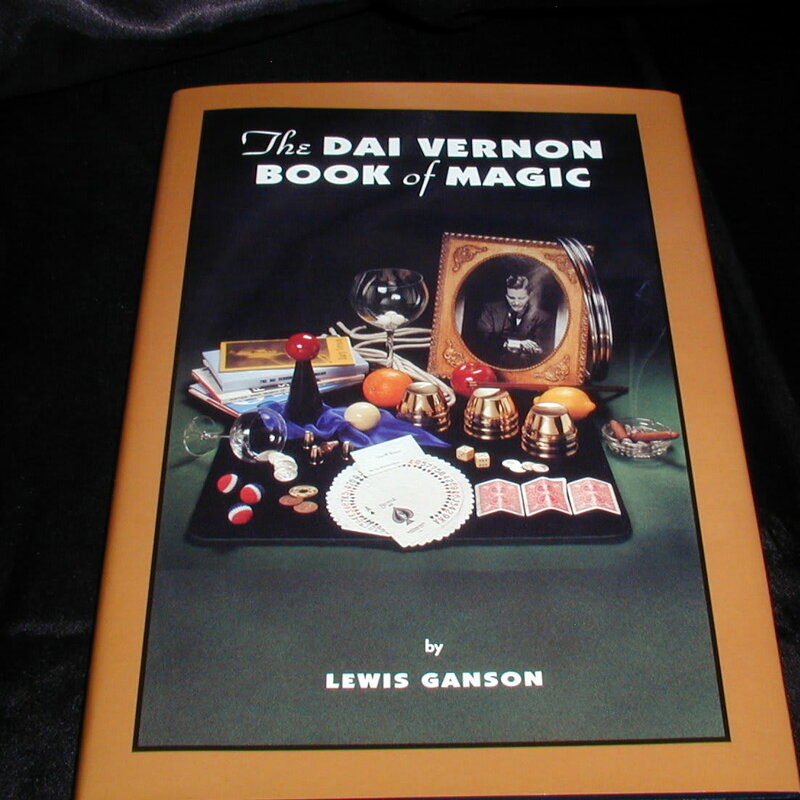 This beautifully bound book is a classic of magic and includes Dai Vernon's linking rings moves and cups and balls routine. It uses high-quality B&W photos throughout to show many of the moves. Each routine ends with an outline of the routine, which is great for practicing from. Highly Recommended. 7 Contents: full summaries are provided for each chapter 13 Foreword: How the book came to be, and some introductory remarks by Dai Vernon 15 Introduction: about writing the book, by Lewis Ganson 16 B&W photo of "The Professor"
25 Chapter Two: The Vernon Touch. 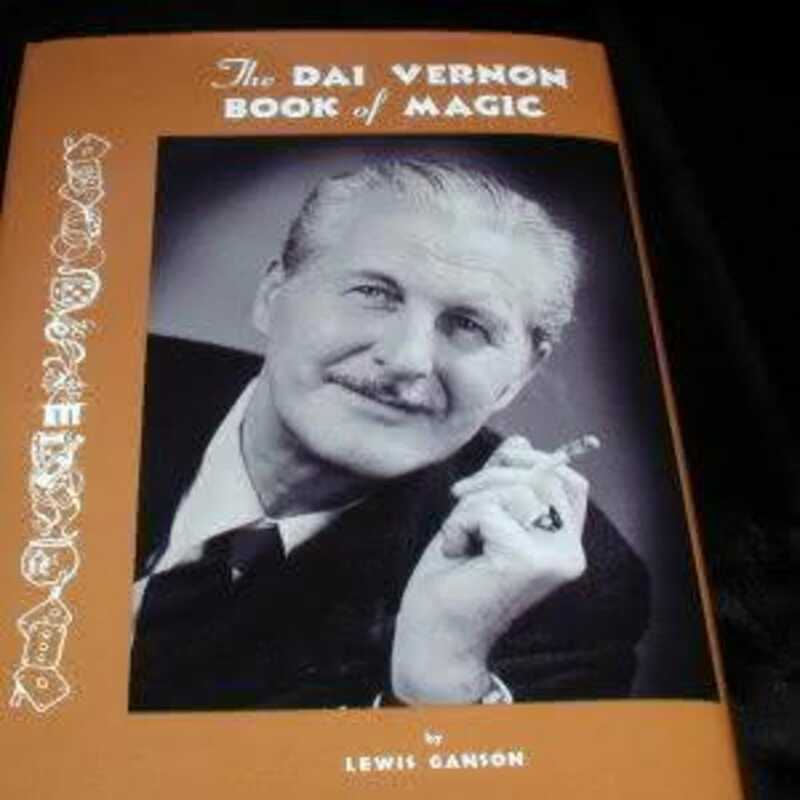 Lewis Ganson on why Dai Vernon's magic is so good, with excerpts from audio recordings of Dai Vernon. 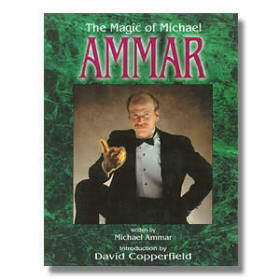 Includes Vernon's approach to the "french drop" and lots of anecdotes about other magicians such as Nate Leipzig, Malini, and others. 39 Chapter Three: A Chinese Classic. Routine for Coins Through the Table. Dai used six-half crowns and a metal ring about the size of a Jardine Ellis ring. 49 Chapter 4: Penetration of Thought. Card thought of by a spectator passes from the packet held by the performer to the packet held by the spectator. Uses 8 cards: 4 red backed and 4 blue backed. 59 Chapter 5: Three Ball Transposition. A 3 ball routine (using 4 1" balls). Uses a net or handkerchief to catch the balls. Three solid balls travel mysteriously from one hand to the other. Repeated with interesting variations until they all vanish. 71 Chapter 6: Application of the Tenkai Palm. Explains the Tenkai palm, The Svengali Color Change of a card, Stealing a card from the pack into the Tenkai Palm position, exchanging a card, and The Jumping Jack routine. 81 Chapter 7: The Linking Rings. Several of Dai Vernon's moves with 14" linking rings are detailed. Includes Spinning the Rings, the Crash Linking, the Pull Through Method of Unlinking, and The Falling Ring. See Dai Vernon's Symphony of the Rings for his excellent, full routine. 96 Martin Gardner's Cigar Vanish: Lighted cigar from beneath a handkerchief. Sort of a hoax, but it takes a while before the spectators realize what's happened. 98 Five Coin Star: a five coin appearance, flourish. Can also be used for cards. 107 Chapter 10: Expansion of Texture: Copper & Silver placed in the hanky. Selected coin is magically removed. The silver coin is placed in the hanky and held by the spectator. The Copper vanishes and audibly joins the Silver. Uses two coppers, one silver, and a handkerchief. 113 Chapter 11: The Challenge. Two cards are shown. The spectator mentally selects one, and performer repeatedly reveals it. Only needs a double lift. 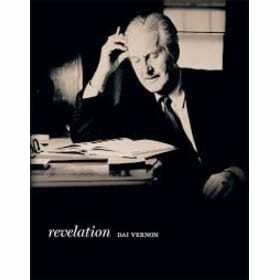 117 Chapter 12: Dai Vernon's Double Lift: with a well covered get ready. 123 Chapter 13: The Cups & Balls: Dai Vernon's routine is a must study for effectiveness and routine Can use most any style cup, and produces three jumbo loads for the climax. Also, features a wand and the wand spin vanishes. Five phase routine. Photos feature Dai's engraved sterling silver cups. 137 The Vanish of a Ball Whilst Spinning The Wand: this vanishes fully explained. 141 Chapter 14: Nate Leipzig's Card Stab: A knife stabbed through the deck wrapped in a newspaper has two selected cards attached. 153 Chapter 15: Tips on Knots: Includes Dai Vernon's False Knot, Dai Vernon's Method for Upsetting a Square Knot, and Splitting an Atom: a tied silks fall apart at a "click"
167 Chapter 17: Free and Unlimited Coinage of Silver: A version of the Miser's Dream performed seated at a dinner table, with several clever methods of finding the coins. 186 Dai Vernon's One Under and One Down From a packet of 10 cards, one is selected. The top card is tabled, next to bottom, next to a table, next to bottom and so on until one card remains - the selection. 188 Charles Miller's Cups & Balls Move: The appearance of one ball visibly penetrating the bottom of a cup. 193 Tips for Experts: Hints from Dai Vernon on the pass, second dealing, bottom dealing, card palming, and sleeving. 195 Chapter 20: Ball, Cone, and Handkerchief: suitable for close up. Uses a 24" silk handkerchief, two white and one red 2 1/8" balls, and cone suitable in size for the balls. 209 Chapter 21: The Last Trick of Dr. Jacob Daley: Four Ace Transposition packet trick. Dr. Daley actually died just after a performance that ended with this trick. 215 Chapter 22: Paul Rosini's Impromptu Thimble Routine: thimble jumps from finger to finger, then five appear all at once on the fingertips, then they jump one by one to the other hand. Uses six thimbles. 221 Chapter 23: Vernon Poker Demonstration (Thanks to Jay Marshall): A four ace hand and royal flush are produced in this cheating gambler's routine. Originally in The New Phoenix. 229 Chapter 24: The Thumb Tie: a full routine. Despite having his thumbs tied by a spectator, the performer can catch rings on his arms, and even unlink his arms from the spectator's! Describes how to prepare the string.